The story that is Ravi Singh and his galloping round the world continues. Since his spell in Ireland helping Fine Gael (Many in party HQ crew could not wait to see the back of him) Ravi has moved on to Turkey and other countries, in fact anyone that will pay him to either speak or work for them. However Ravi’s international travels have not gone completely smoothly. Politico.com has been having a look. In Poland some pesky but determined journalists kept digging about the Obama claims that he has been allowing go uncorrected for years. Singh has had to take down a video where he was referred to as an Obama campaign guru. To be clear he has worked for a US state democratic party Obama campaign in a VERY small way. He was sacked by a gubnertorial campaign for messing up a campaign website. And we remember what happened with the Fine Gael website pre #ge11. Those who hired him in Columbia are very surprised to hear that he did not work for Obama. 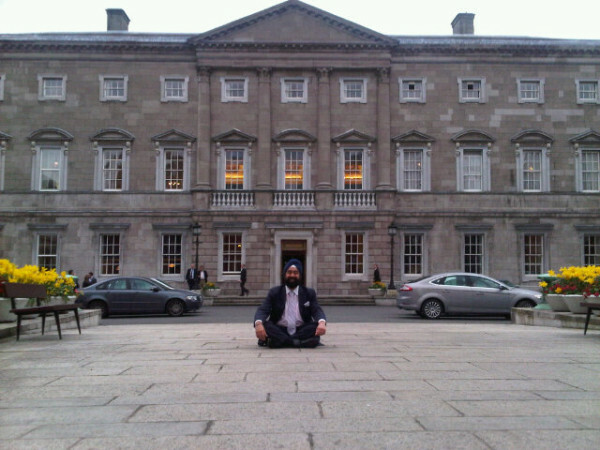 And thanks to Fine Gael’s campaign Euro’s Ravi posts pictures like this on his twitter account and claims his role in Fine Gael’s electoral victory. Next stop Guatemala. 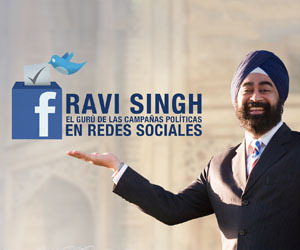 where Ravi Singh is charging up to 100 dollars a seat (that’s a lot of money in Central America) to hear him talk all about Facebook and campaigns (maybe with gems like where Fine Gael deleted negative posts and temporarily closed down accounts which challenged them – will he mention twolicy?). And where the media uncorrected by Singh continue to mention him as an Obama guru.